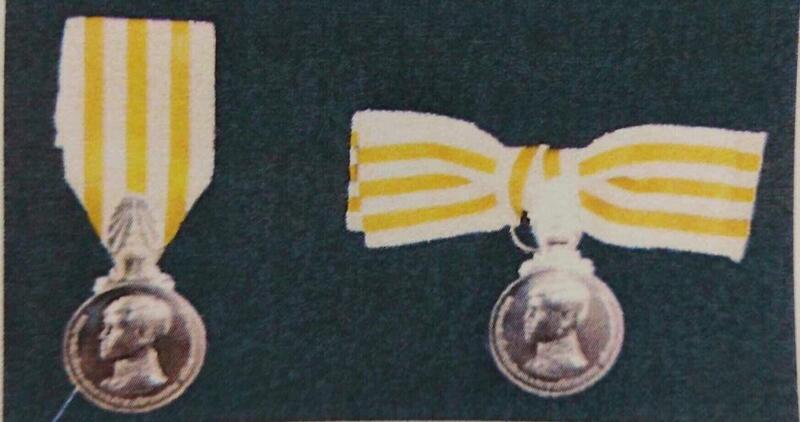 Here are the new coronation medal for king Rama X. The coronation ceremoni will take place between 4-6th May. Last time a coronation took place was 5 may 1950 when King Rama IX hade his coronation ceremoni. Thanks for sharing. I assume these will only be issued to those in attendance? 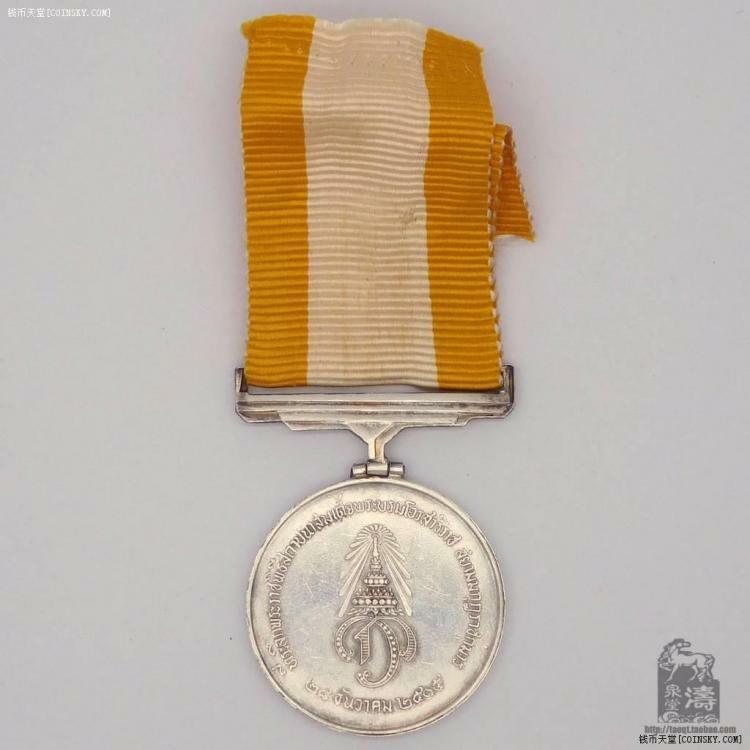 In Thailand the commemorative medals like this can be worn by any government employees. It dosent mather if they attend or not. But only Thai citizens can wear it. Very seldom any forigners get issued this type of medals. I know only of one. Princess Ubol Ratana married Peter Ladd Jensen, American, and he got some commemorative medal. I have a bar that belonged to Prince Axel of Denmark and it has the 1911 Rama VI coronation medal. But since he was royalty, he may have been one of the exceptions that Micke mentions. I think moste forigners who have received these types of medals are royalty. But i have not found any evidence for this. Its an interesting subject to look more into but the information are very hard to find. Gentlemen, are you discussing this medal? I believe what you show is the "Commemorative Medal of H.R.H. Prince Maha Vajiralongkorn's Investiture as Crown Prince". We are discussing the coronation medals. I also have a medal crowned by King Rama VI, imitating Britain. The Rama VI medal can be awarded to Europeans, but at the moment I only know your Danish prince combination. Perhaps it is easier to search for Thai medals than Asians, just as I can't understand the standards of the Oscar II Royal Patriotic Service Award. The Royal Patriotic Society are a old swedish society. The Society was founded in 1766. In 1772, the Royal Declaration was issued by the Society's basic rules, after which the Society was called the Royal. (Swedish) Patriotic Society.That medal are still awarded but with the reigning king's portrait on it. The society have a number of awards they are give out. See there home page: https://kungligapatriotiskasallskapet.se/the-royal-patriotic-society/. The bigger medal are from this society. The other society are the Royal society Pro Patria, also founded in 1766. The smaller medal, "För Trohet och Flit", For faithfulness and diligence, was awarded between 1836 and 2005 to those who have been employed by the same employer for a long time or served with the same household or relative. The service for the larger medal was at least 25 years and for the smaler at least 15 years. 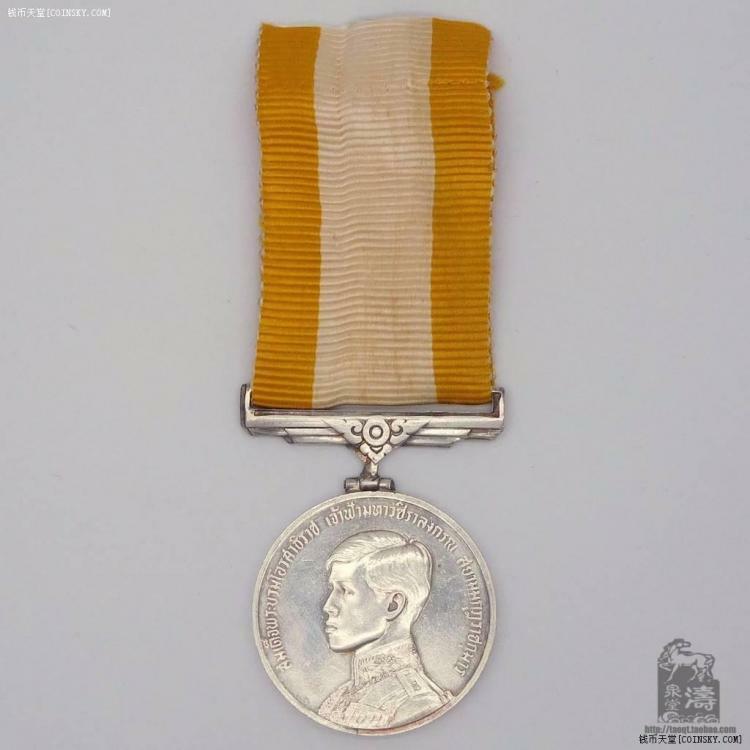 The medal has been awarded to more than 10,000 people. 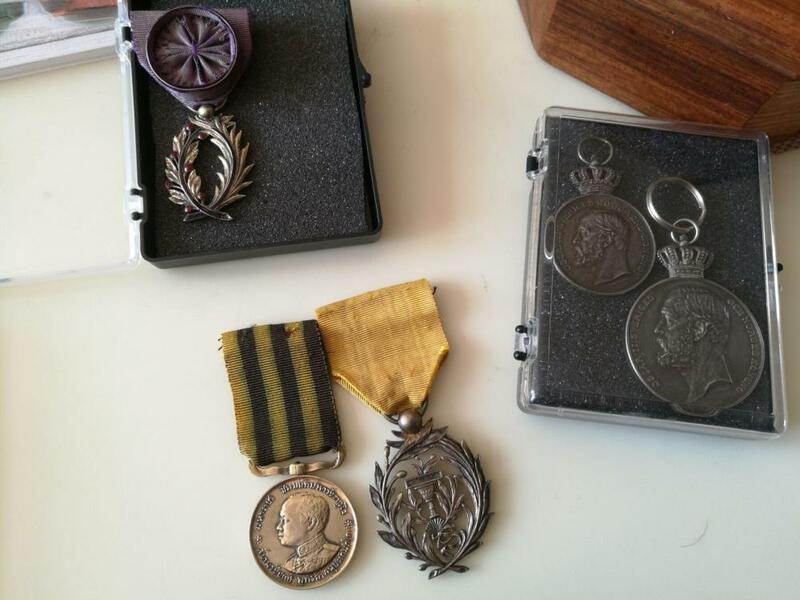 My great grand father was given the larger medal for his service. Here are there homepage: http://propatria.se/. unfortunately it is not in English. Thank you Micke. I just want to know that the "Royal Patriotic Service" at the Swedish commander level does not apply to Swedes? Can people in other countries get it? I dont understand what you mean. Are you asking about The Royal Swedish Orders? 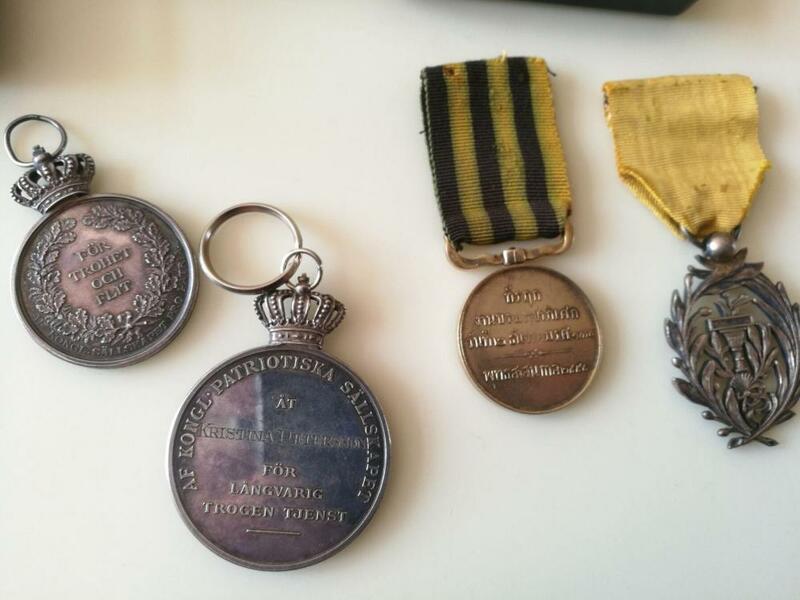 The awards given out by the Royal Patriotic Society and The Royal society Pro Patria are given to Swedes. I mean, can the Royal Patriotic Service be issued to foreign citizens who are not Swedes? I dont know of any forigner that been awarded these awards. I think its only swedish citizens that can apply for the awards. But in Thailand every government employee have the right to wear coronation medals. EVEN they not attended the ceremony.